(by Penelope Overton, Portland Press Herald) – A review of 25 years worth of car crash data has found a link between the so-called “high holiday” celebrated by marijuana users on April 20 (4/20) and a rise in fatal car accidents. The study conducted at the University of British Columbia looked at U.S. government statistics from 1992 – the year after the informal pot-smoking event was popularized – through 2016. Researchers at the University of British Columbia and University of Toronto used accident data from the U.S. National Highway Traffic Safety Administration to compare the number of drivers involved in fatal crashes after 4:20 p.m. on April 20 to the number of drivers involved in fatal crashes in each state a week before and one week later. They found there to be a 12 percent increase on average, which represents 142 deaths over 25 years between 1991 and 2016, the most recent data available. The risk is even higher among young drivers, they found – for drivers 21 or younger, the increased risk grew to 38 percent. The research published Monday in the Journal of American Medical Association (JAMA) Internal Medicine by Dr. John Staples of University of British Columbia and Dr. Donald Redelmeier of University of Toronto does not consider whether the April 20 risk to a driver changes if they are in a state that has legalized cannabis, Staples said. Each U.S. state varies, making it difficult to categorize and compare state risks by level of legalization, he said. The research does not consider whether cannabis played a direct role in the April 20 fatal crashes, Staples said, because a police drug report – which combines lab tests and the impression of the officer – was included in the Fatality Analysis Reporting System for only about a third of the 1,369 drivers involved in a deadly April 20 accident over that time period. More importantly, because cannabis lingers in the body for so long, a positive lab test does not mean the person was impaired. Previous studies have shown the active ingredient in cannabis, tetrahydrocannabinol (THC) decreases reaction times and makes driving speed and lane position more erratic. “Despite this evidence, driving after cannabis consumption is surprisingly common,” the authors said in a letter in JAMA Internal Medicine. Staples and Redelmeier said they found no increased risk of crashes before 4:20 p.m. on April 20. Staples said the study should prompt 4/20 event organizers to consider ways to make sure participants, and those who will share the roads with them, make it home safely. When Canada legalizes recreational marijuana use this summer, almost 100 million people in North America will live in a place where it is legal to consume cannabis, Staples said. But it’s difficult to know how closely the two are linked because U.S. federal prohibition on marijuana limits the types of research that can be done on it, Staples said. Previous studies have shown that many pot-using motorists drive after partaking and think it’s safe to do so. Colorado legalized recreational marijuana in 2012. Data show that 15 percent of DUI arrests in Colorado last year involved marijuana, and a 2016 survey found about half of users in the state think driving under the influence of pot is safe. 1. What data did Canadian researchers Dr. John Staples and Dr. Donald Redelmeier use in their study? 2. a) What data did the two researchers compare? b) What did they find? 3. For what age group is the risk of driving even higher? 4. Why didn’t the researchers consider whether cannabis played a direct role in the April 20 fatal crashes? 5. a) What have previous studies shown about THC? b) According to the National Institute on Drug Abuse, marijuana can impair driving ability. A 2016 survey found that about half of users in Colorado think driving under the influence of pot is safe. What do you think? Explain your answer. 6. a) Explain how Dr. Staples got the idea for the study he conducted with Dr. Redelmeier. b) What actions does Dr. Staples say 4/20 organizers should take? and US and Canadian officials? It’s a recognized risk in Colorado, where voters approved legalizing it in 2012. That’s why last year the state’s transportation department partnered with Lyft and a pot industry group to offer discounted rides for pot users partaking in 4/20 events. Data shows that 15 percent of DUI arrests in Colorado last year involved marijuana, and a 2016 survey found that about half of users in the state think driving under the influence of pot is safe. 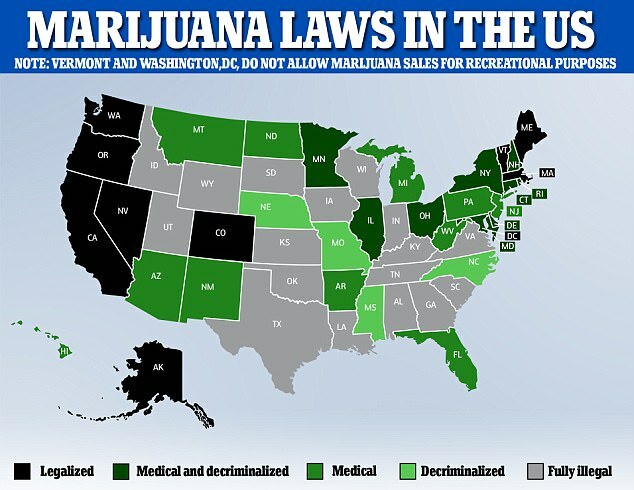 Marijuana is legal for medical use in most US states and in Canada. Recreational use has been legalized in nine states plus Washington, DC and will become legal in Canada in July.